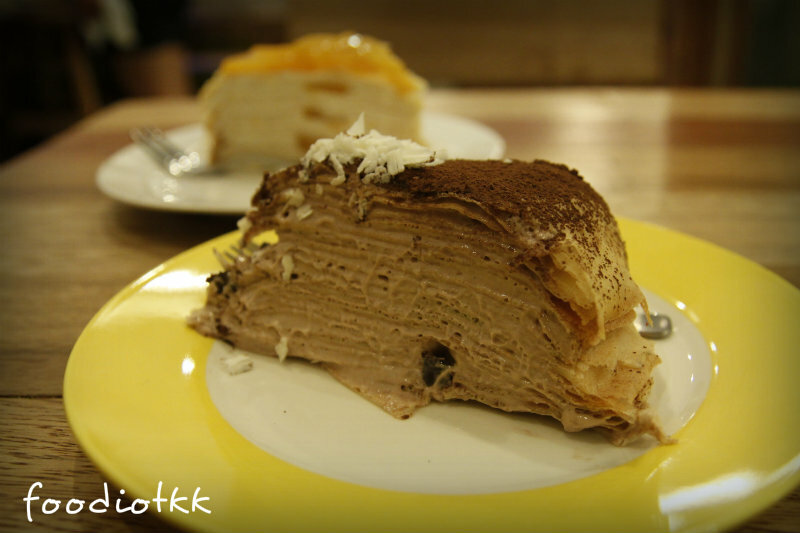 If you ask me where is the best Mille Crepe in Malaysia, I would definitely pointing you to Melacca's Nadeje. 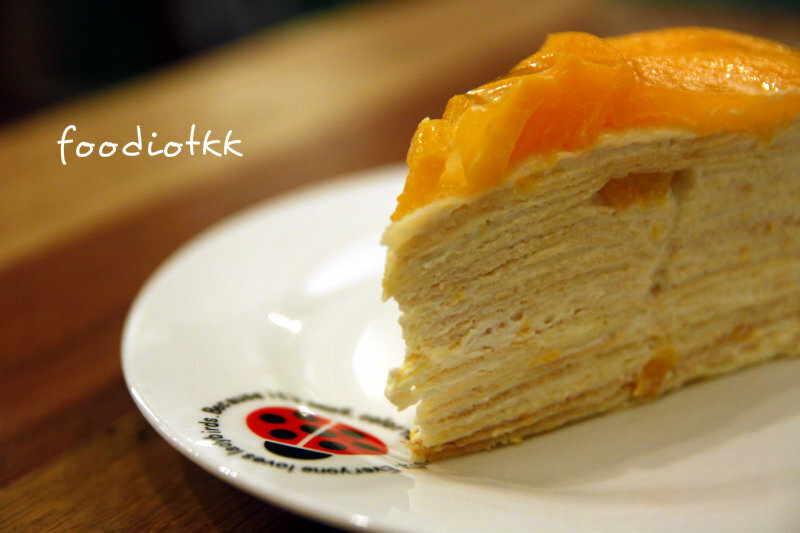 Currently many cafes in KL has included Mille Crepe in the menu but only a few are made equivalent to Nadeje's quality. You may asked again what is a good Mille Crepe and what is a bad one. Well, try 'em, I am sure you can tell the difference too! The presentation, the sweetness, the cream, the balance of texture when your tongue and teeth touch the crepe... etc. 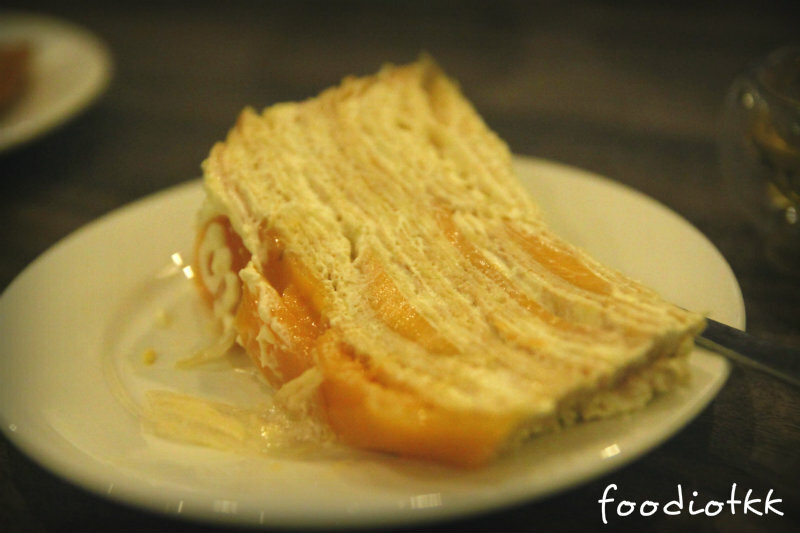 Some Mille Crepe is very hard, not moist enough that you might think it's a layers of popiah skin instead of well-done crepes. I was told that in KK. there are one or two homemade Mille Crepe here already, but so far the newly opened Cafe De Vie at Lintas Plaza, is the only one making and selling Mille Crepe in a store. 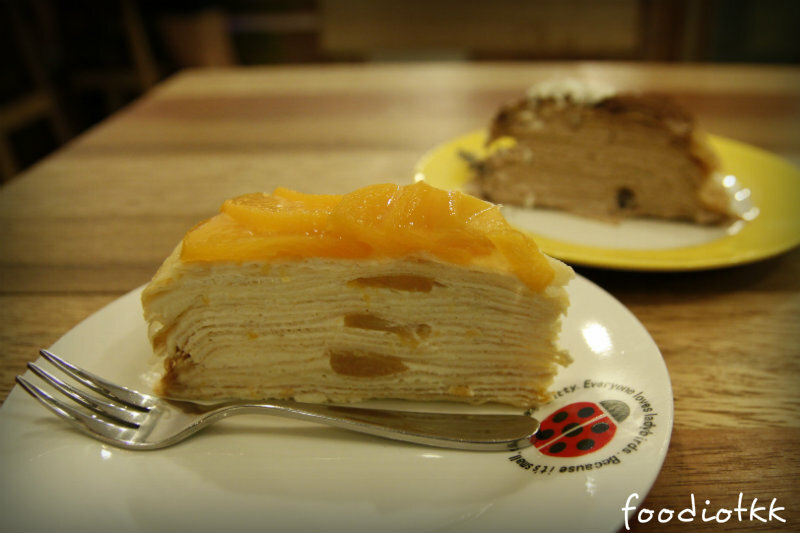 BigFish & I tried once in the cafe, then few days ago I ordered a big 1.5kg Mango Mille Crepe which is off-menu. through using the fork, although generally is OK.
Love this, sweetened peach with perfectly balanced cream in between. of course you are not expecting a thousand layers here, do you? 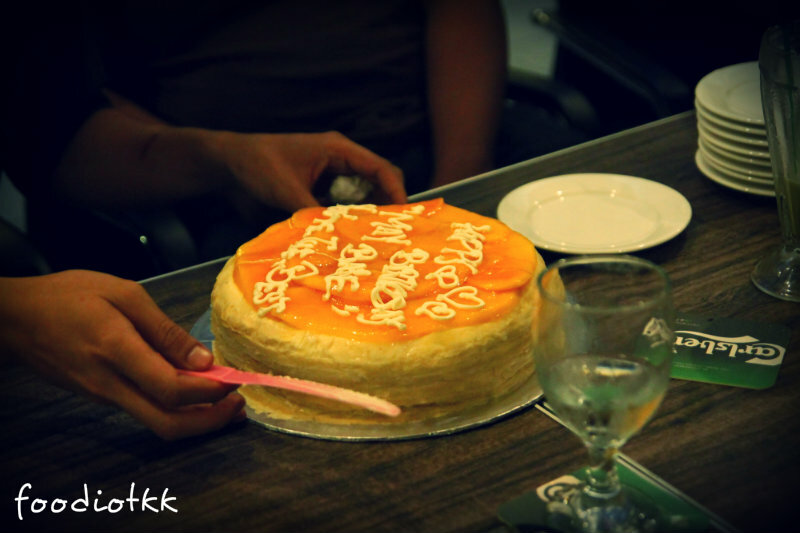 of May Birthday Babe. RM120/ 1.5kg. Good value! BTW they do serve proper western food as well. Go for lunch or dinner! Great review. 1st time leaving comments in ur blogs! do i need to preorder those mille crepe, or simply just walk-in? Hi Litrean, yes you can walk in for a slice or two, but u do need to book ahead for a whole 1kg mille crepe! Cheers! hi...maybe u trying the mille creper,its not the true chef making one.because i know the chef no more work there anymore.